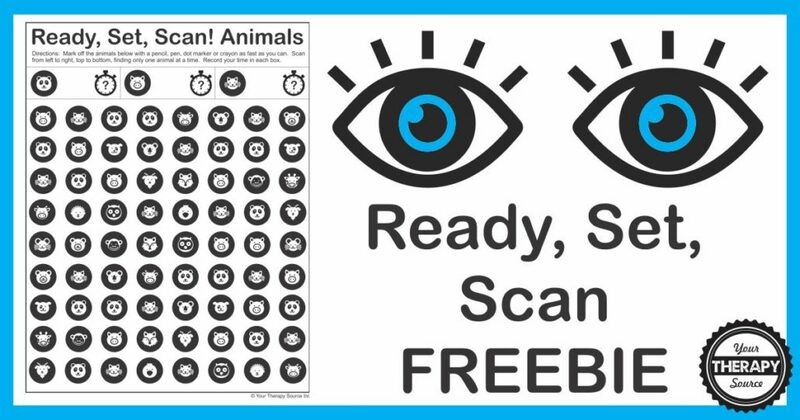 The Ready, Set, Scan Animal Freebie (download below) is an awesome activity to challenge visual scanning, visual discrimination and visual motor skills. Start the time, scan from left to right and top to bottom to mark off the correct animal. Stop the timer when done and record your time. See who can complete the task the quickest. This freebie is from the complete Ready, Set, Scan digital download. 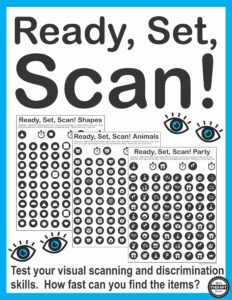 Find out more information about the complete Ready, Set, Scan digital download. Want more timed games? Check out Speed Match, Motor Minute Challenges and Set the Record.